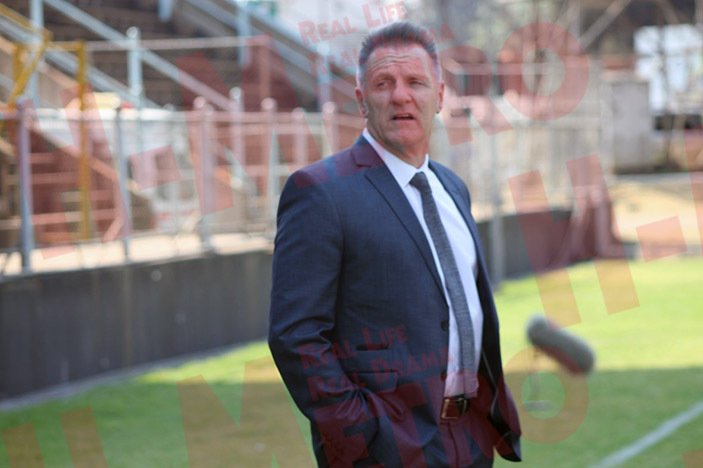 HARARE City coach Mark Harrison says he is putting final touches to his squad ahead of the 2019 Castle Lager Premier Soccer League set to begin on March 24. The Sunshine Boys coach believes he still has more weeks to get in new players to beef up the squad. “We have not closed the window on signing new players as yet. Still working on that and will finalise the squad in the next few weeks. “We don’t have any targeted players as well but just trying to fine tune the squad. “I am confident, however, with the players that we have on board now and am sure we will be a strong team this season,” he said. After losing his son Ryan, from the team who hung his boots and opted for a coaching career back home in England, Harrison is happy with the recent signings in his team. “All the new faces we have joined in will add good quality to the squad,” he said. Harare City have brought in Walter Mukanga from Ngezi Platinum, Marshal Machazane from Dynamos and Milton Ncube from CAPS United. Tatenda Tavengwa is also another addition to the team after they lost Malvin Gaki to Chicken Inn and Pritchard Mpelele to Manica Diamonds.